Sony has a monster new phablet coming to its Xperia line, rounding out an already solid family of devices to start 2014. In addition to the Z1S and Z1 Compact announced at CES, Sony has quite a few new options flooding the market in the early part of this year, with another flagship supposedly coming down the pipeline. 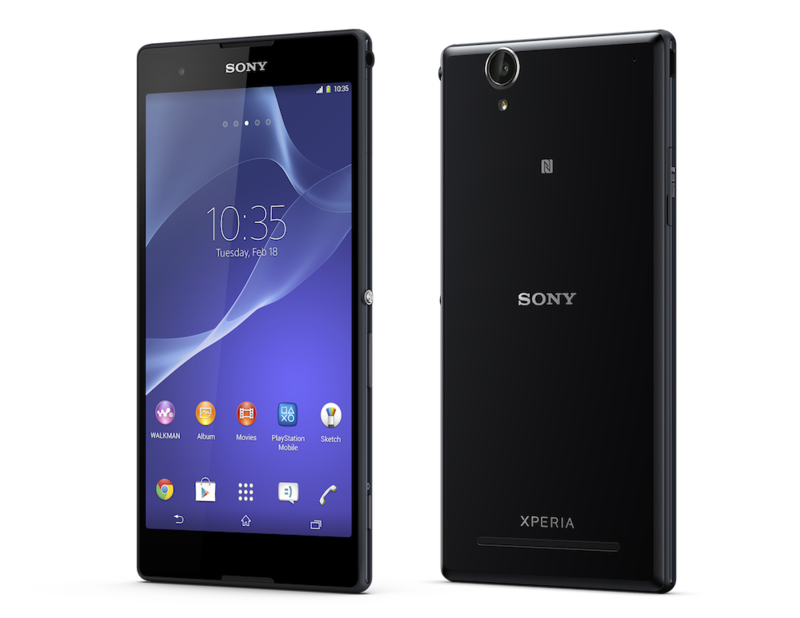 The focus, however, is on the company's fresh Xperia T2 Ultra (and T2 Ultra Dual), which Sony hopes will satisfy your enormous smartphone needs. This isn't quite as large as the Z Ultra, but it's darn close. Equipped with a 6-inch 720p display, the T2 Ultra sports a 3000mAh battery, 1.4GHz quad-core chip, 1GB of RAM, 8GB of internal storage (microSD expandable up to 32GB) and 13-megapixel camera with Exmor RS. Not the latest specs, but devices don't need the latest in order to offer a solid experience, as we've learned. Because it doesn't have a Full HD display and higher storage options, users can likely expect a fairly wallet-friendly price, though it's unclear how much it'll retail for—or when it'll be released, for that matter. When the device does it, it'll integrate Album, Walkman and Movies apps with cloud services out-of-the-box, a camera experience that Sony claims is best in class, and a number of other software tweaks that help enhance the experience. When the T2 Ultra hits, it'll also come in a dual SIM variant for all you globe-trotting businessmen.